It happens to A LOT of people; to enumerate, 7 million people. According to an online survey conducted for Symantec by The Harris Poll in 2018, 7 million consumers experienced identity theft in 2017. It makes you wonder: well, how safe am I? Katie Norton is an independent agent with LegalShield & IDShield. She is an Employee Benefits & Identity Theft Specialist and she is certified to go into companies and train their employees on how to prevent identity theft in the workplace. The official name of what she does is (long, but it is called) Certified Identity Theft Risk Management Specialist (CITRMS). Katie Norton: I’ve worked with over 200 companies just in the Jacksonville market, going in and talking to them just about this very thing, doing a workshop with them, getting all their employees signed off, that they’ve been through the training. Really, that’s what they need. They need to have someone come in, and train their employees on how to prevent the simple things of identity theft. If you would like to have Katie come in to train your employees, click here. On the show, Katie and I talk about how easy it is for regular people and professional hackers to get to your personal information. Katie shares with us some consumable tips that we can start practicing in our daily lives to prevent identity theft and hacking. Katie Norton: You know, over 70% of identity theft happens in the work originates in the workplace, not because of an employee’s intent. Really, because of employee error. They do something like walk away from their desk, and leave information out on the desk. Somebody walks by with a camera, you know, we all have one, we carry it with us on our hip, or at our purse, everywhere we go. [So], I always tell employers, make sure that your employees are using a two-lock policy. If they’re walking away with something sensitive in their office, it should be locked. Even if they’re just walking down the hall to get a bottle of water, going to the restroom, they need to consider a two-lock policy. Lock your desk, lock your door, make sure the building is locked at night, because of things like that. If you want to protect your (and others’) personal information, then lock those computers and offices. Five seconds of human error could burden you with 600 hours of repairing your identity. Take that extra five seconds to simply lock your computer and door and you WILL lower your chances of being a victim. This is true, airlines want to scare you into buying the ticket. It’s called personalized pricing or price discrimination – and it results in different prices for different people for the same product. To protect your personal information as well as price discrimination, use those incognito browsers. Here’s a short video from Chrome on how to use the Incognito feature. Pete: It’s weird, because they look so official, they’ll have the logo of whatever it is, and say, oh, we just need a password update. I was watching one on one of those expo shows on TV, I don’t know which one, like a 48 hours … Not 48 hours. What’s … I don’t know. One of these ones where they were doing this thing on identity theft. The very people, the producers that were on the show going through, meeting the guests, and talking, all this stuff, we said, watch this. We’re going to send them an email, that we’re updating, we’re all getting brand new phones. They’re going to be so excited that they’re going to be getting all brand new phones, all they have to do is send in so they can update the software, just send us your password, send this, and your new phone will be issued today. Both the producers of that show immediately got the email, responded to it, and then all of a sudden the camera crew comes in and says, hey, did you fools know that you just did exactly what they said? But it was legit, it was from this, and we’re getting new phones. Well, number one, you’re not getting new phones, and number two, you’re stupid. We just told you not to do this stuff. Katie Norton: It is absolutely crazy what happens. Just with the phishing emails, if you just hover over top of the email address that it comes from, you’ll see it’s not really that address. Just never, ever click on a link on an email. I know we’ve heard that over and over again, and it’s a simple tip. But never click on a link in an email. Just go directly, matter of fact, pick up the phone. It’s old fashioned, it’s really direct, there’s no way to hack it. So pick up the phone and call your bank, call your credit card company, or whatever it might be. Look at the “From:” email, if it is not a credible address, it is probably spam. We didn’t get a chance to elaborate on this term more on the show, however, I do want to share what it is now. Two-Factor Authentication is an extra layer of security. It requires two ways to verify the user (1) a password and username but also (2) something that ONLY that user has on them. It is a piece of information only they should know or have immediately to hand, i.e. a picture, icon, a physical token. This makes it harder for criminals and hackers to steal personal information. To read more about it, click here. Katie Norton: [If I am a hacker and going to hacking your account] I’m going to be thinking about that, and I’m going to be looking for your anniversaries, looking for your birthdays. I see people literally trying to think how quickly can they get to their computer or their phone to change their password because I’ve really guessed, if I really did know the name of their kid, their kid’s birthday, that they would have … I would be in their password. So we need to be thinking about using smarter passwords, or even a password generator. ID Shield has ID Vault, and you know, there is other ones, Lass Pass, and so on. But using one, where it generates the password for you, and then fills it in for you later. I could never remember any of the ones they generate, never remember those. these are all things hackers (with enough research) can retrieve THEN please, change them. It can be hard to remember, especially with everything now having passwords, but look into ways to keep them for you. Katie Norton: If you think about it, there are people out there that still say, I don’t get on the computer, I’m not susceptible to this, I can take care of it myself if it happens. It’s not true. It takes 600 man hours to restore someone’s identity on an average basis. They think because they’ve never been on a computer, they don’t do social media, that they’re not vulnerable. But if you’ve ever been anywhere, and you’ve given them your driver’s license, your social, your medical ID, and you’ve had them copy it on a copier, now you’re open, you’re exposed, because I mean, have you heard of this before? Where they go in, and they buy the copiers after they’ve been turned back over to the leasing companies — they’ve extracted 48,000 documents and they sell most of it. The point is, next time it could be you. Remember to not only proactively (1) prevent but also to (2) plan if such a situation were to evolve. If you have any questions, please reach out to Katie Norton at www.katienorton.net or her email katie@katienorton.net and let her know that Pete the Job Guy sent you! You know, I get it. You have something going well for yourself: a personal business, your job, your social life, and it seems like you jip your kids of “learning opportunities” or time spent with family because you’re just so busy. And when you realize that you are doing this (some are lucky to catch it) you just feel awfully guilty. I’ve been there. Multiple times. Let me tell you: I’m right there with you. I’ve been a parent for 22 years and I feel like I am still am not giving enough. It’s a feeling that eats me up when my head hits the pillow and I want to know how to get rid of it. Luckily, I had a conversation with some of my friends who are also parents facing the same struggles of preparation and motivation. Desire (you want this for them): You want your kid(s) to thrive when they are “set-free” into the big world (whether that’s college or the workforce). You want them to succeed when they are independent of you because they choose to be responsible and not fall to the pressure of their peers or environment. Action: Stop weeping for yourself about the time you are not with them. If we could all quit our jobs and still get money, we would, but we can’t. Instead, start focusing on who your children are spending time with beyond you. If you take note of who they are spending time with and if they (friends/ family) encourage your kids to do better, to do more, this will help achieve your desire of responsible, independent young adults. It is good to “train them up” to make a decision by themselves and to surround themselves with positive people. Hear Preston Stuckey, son of Alex Stuckey, and rising sophomore at Florida State University, talk more about taking on independence and responsibility in the full conversation here. Desire (you want that for them): You want them to be a good human. And by “good,” I mean you want for them: good self-discipline, the power to choose to do the right thing in the situation, and the courage to fight for what’s right. You want them to help whenever they can, even when they don’t want to. AND most importantly, you want them to be happy. Action: When you are around them, the quantity of time does not matter, so long as it is quality time where they can witness those good traits in you. Be the example of what you want your kids to be in the future, today. Stop telling and start doing. If you want them to realize that family is important, then make time for family. If you want them to be successful, show them persistence, responsibility, and motivation propels you to finish. If you want them to clean their room, wash your dishes after dinner. These small ripples can make lasting waves in their minds. You must understand that you cannot control them or order them; you can only lead by example and show them that there are certain principles that you won’t compromise. So, parents, my friend-who-stays-up-wondering-about-the-future-of-your-child(ren)’s-life, stop thinking and start doing. So, to the busy parent, my challenge for you, right now, is to talk through your child(ren)’s goals. Why? To make yourself aware of them, to make yourself available when you can, and to motivate them until they make it. Until then, parents, keep workin’ hard, for this is the best way to prepare your kids! Connect with Tom Nolan on LinkedIn!  To listen to the full conversation, go to the Pete the job Guy Podcast here. Thanks for reading!